Faecal analysis is a routine procedure for stud farms that are normally outsourced, but since we have the technical skills and equipment for evaluation with extensive practical experience specifically to horses we have started to source this service out to other horse owners. We evaluate more than 70 horses seasonally for internal parasites. Faecal analysis provides us with the type as well as concentration of internal parasites present within the horse. Chemical deworming without a faecal analysis is reckless behaviour since it is an unnecessary expense if a low or no parasitic load is present together with the harmful effects of chemical toxins deposited directly within the system all an all a short term solution. Parasite resistance to active drug components within dewormers are a reality and is a problem documented world-wide. 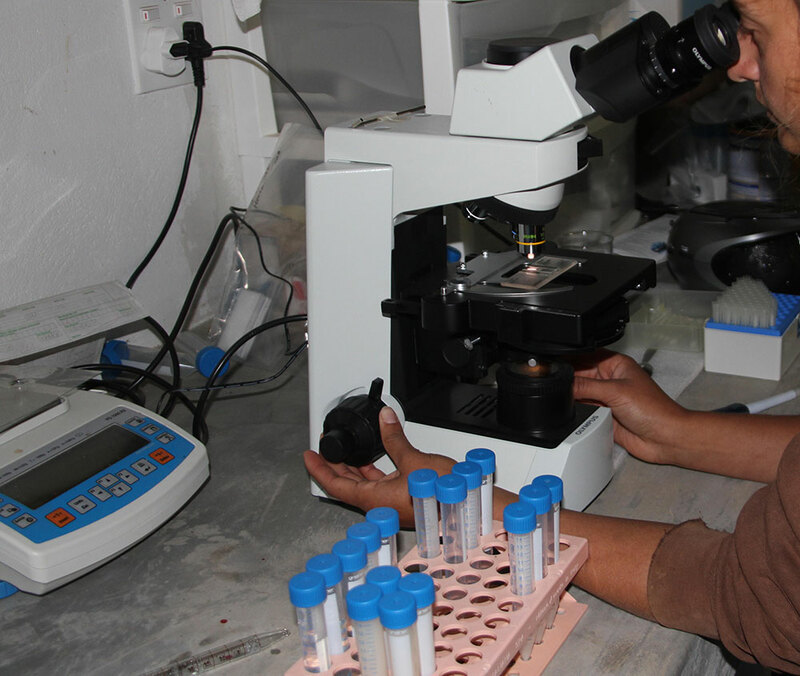 Faecal egg reduction tests are necessary to determine drug resistance within an individual and are also done by faecal analysis before and after standard deworming practises. We believe in a holistic approach to minimize parasitic loads and for the horses to become less prone to parasitic infestations through strengthened immunity by means of natural products and day to day management. This is why we spend a large amount of time evaluating the faecal sample but also analysing the information provided in the unique questionnaire provided by each horse owner for the specific horse. All data is processed and makes part of a larger data base which is region, owner, horse, age, breed and management system specific. Each faecal analysis provides the owner with a parasitic egg/oocyte count, positive/negative for specific types together with a holistic approach. We have developed this unique approach to assist the larger horse community since horses cannot object to what they are given, but we can at least assure the type and necessity of treatment. We have been doing this the last 3 years for clients whom are committed and whom are reaping the results.